Easy to make and super delicious. Grain free, gluten free and dairy free. 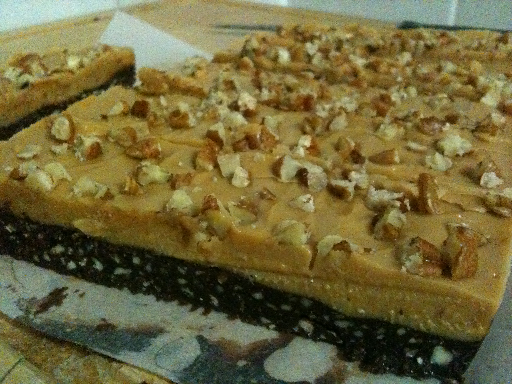 This Pecan Peanut Butter Slice requires no baking and is grain free, gluten free and dairy free. I love peanut butter and was searching for a new recipe with peanut butter in it. 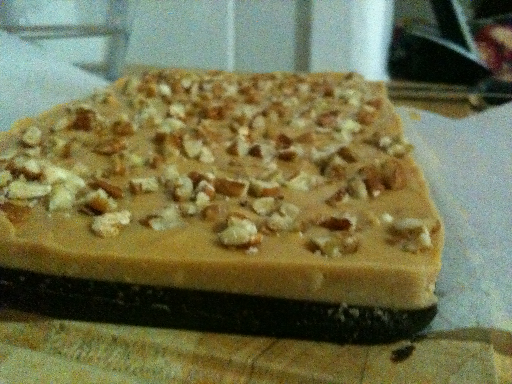 I was thrilled when I found this Pecan Peanut Butter Slice. 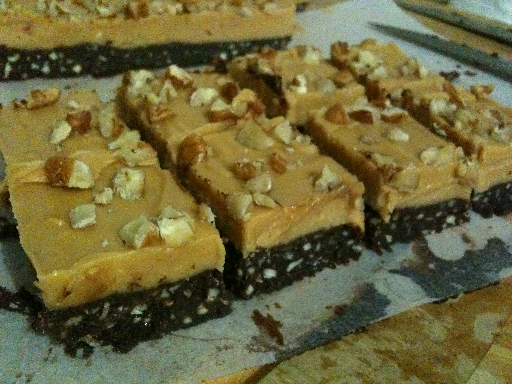 The recipe was actually a bit different but I simplified it and it tastes divine. I am sure you will love it as much as my friends did. They devoured it in minutes and your friends will too and then they will ask for more. Fear not that it has a few layers. It is so quick and easy to make and won't take you much time at all. Give it a try. You will be glad you did. Let me know how you go. Line a 20cm x 10cm (8 in x 4 in) baking tin with baking paper. Combine all the ingredients for the base in a bowl. 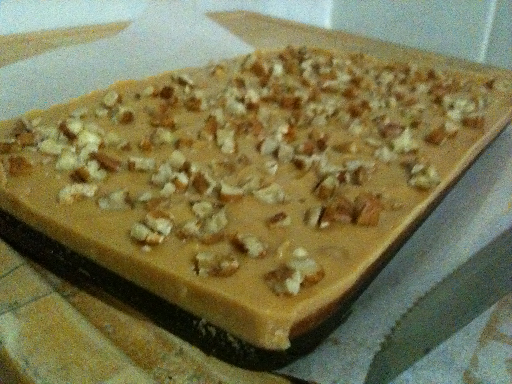 Spread along base of baking tin and place in freezer for about 20 minutes to set. While base is setting combine ingredients for the top layer in bowl. 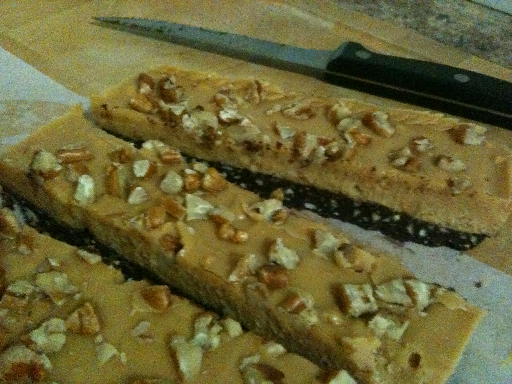 Spread this mixture over the base layer then sprinkle pecans over the top pressing into the top layer as you go. Return to the freezer for an additional 20 minutes then cut and serve. Note: Store in refrigerator as this will melt at room temperature.